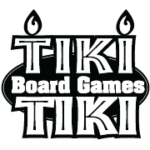 The Monthly Throw was founded in 2016 by the owners of a small Board Game shop (Ryan, Ryan & Tyler) in Woodbury NJ called Tiki Tiki games. Early in 2013 a young man named AJ Kirk came a calling offering to host a YoYo club in our shop, we said “What?”. About a month later we started carrying YoYos and hosting club with my son Gabe as the first member. Since that time our club has grown and we have a an amazing group that attends Tiki Tiki Yo Yo Club regularly (meets every Saturday at 4pm if you are in town). Our members felt that the Yo Yo community would embrace this idea fully and would enjoy a little mystery to boot. 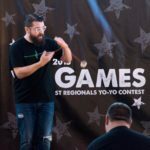 In the beginning of April 2016 we were lucky enough to partner with the NYYL and an amazing list of sponsors hosts of the NJ State YoYo competition-The Ringmaster Classic . 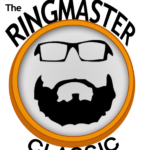 This all stemmed from our software business – Island Officials LLC where we have been making video games since about 2007 (officially 2009) and we develop apps and websites as well. When our software business moved to Woodbury, NJ we moved into retail space (which was less expensive than office space) but had to sell something so we started selling and buying used board games which has gained a lot of steam in recent years and lead to AJ walking in our door after grabbing a water ice one day. Our buddy AJ passed in October 2015 and since then a lot of people have come to our small club making it a medium/large sized club and we became more involved in club and the community in general. Learning tricks and throws has been a lot of fun as well as expanding our selection at the shop (and our own collection) while talking to different makers and companies. One day on my drive home (from my day job) I came up with the idea and discussed it with Ry & Ty and we all agreed it was a solid idea that we could handle. We started chatting with different makers and everyone quickly came on board and now here we are. 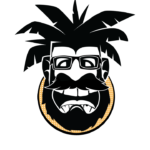 In addition to our Island Officials, Tiki businesses we also have day jobs and run an awesome show called SJ Geekfest that we host twice a year.